Today Dynon is excited to announce a suite of new SkyView products: SkyView Touch™, new dedicated control panels, and SkyView 10 software, which brings over 30 new features and improvements. For complete information visit www.TheNewSkyView.com and download The New SkyView brochure. Today, SkyView enters a whole new era: touch. 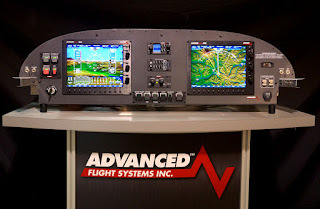 But don't worry, this is touch the Dynon way: “Touch when you want it; Turbulence when you don’t.” What started as a grammatically challenged joke of a catch-phrase turned into the philosophy that we used to guide the design of SkyView Touch™. Although we all use touch-controlled products like smartphones and tablets in our daily lives, turbulence can quickly render a touch interface practically impossible to use. SkyView Touch solves this by using touch to augment and complement the physical buttons and joystick knobs rather than replacing them outright. It’s the best of both worlds. Elements like on-screen keyboards speed up entry of airport identifiers and the map zooms and pans just like you've experienced on every tablet you've used. Touch an airport for more information, or touch an airspace and the altitudes pop right up. Touch the altitude tape and the closest knob assigns itself to adjusting your altitude bug. Touch the transponder and up pops the transponder menu. The system retains Dynon's industry leading screens with incredible brightness and anti-glare properties, so there's nothing in the way of your flight on a bright, sunny day. The ability to automatically dim enough for even the darkest nights? That's still there too. Not convinced? That's OK too. The non-touch D1000 is still available, and it isn't becoming a second-fiddle product. SkyView Touch is built on the same platform and runs the same software as non-touch products, so everyone will continue to get the same software updates in the future. To top it all off is the price: SkyView Touch™ is priced at $3995 (MSRP), only $395 above the non-touch 10” display. Touch displays are plug 'n play drop in replacements for existing SkyView installations. SkyView Touch begins shipping in April 2014, with updates to existing units starting a bit after. SkyView was designed with maximum flexibility in mind, which is why it has 8 "soft" keys and 2 re-assignable joystick knobs. In busy cockpits, sometimes all you want is a knob that "just works" and always does what you expect. The SV-KNOB-PANEL solves that issue with three knobs for the most used functions: Altimeter setting (BARO), Heading bug, and the Altitude bug. It has quality, heavy-detent knobs, with an automatically dimming backlight for night flight. It's incredibly easy to install with simple plug-n-play integration to the SkyView network with no aircraft wiring needed. The SV-KNOB-PANEL comes in Horizontal and Vertical versions beginning April 2014 for $250. In the same vein as the Knob control panel, the Autopilot control panel allows full control of the SkyView approach-capable autopilot without touching a single button on the SkyView screen. Just reach up, touch the mode you want, and sit back while SkyView takes the work out of your flying. Innovative features like the LEVEL button are always there for you no matter what else you are doing with SkyView. All buttons are backlit and feature sharp tactile feedback when pressed. It doesn't stop there. 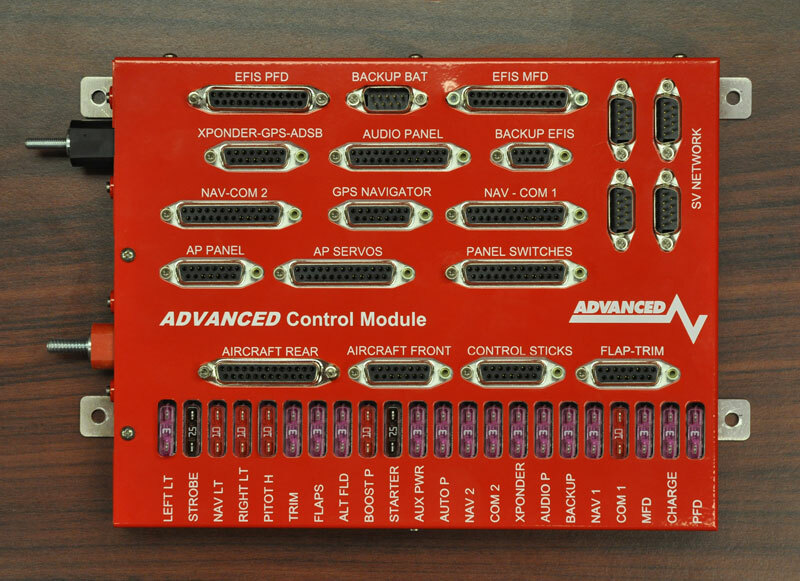 The Autopilot module is also a full featured dual axis trim controller. It can manage your electric pitch and/or roll trim motors, replacing any relay decks you'd otherwise install in the airplane. It also has the ability to slow down the speed of trim as you fly faster so that your trim sensitivity is the same at all airspeeds ("speed scheduling" in jet-speak). More than a simple two speed controller, this feature is fully proportional across airspeed and can be easily adjusted right in the SkyView menus. 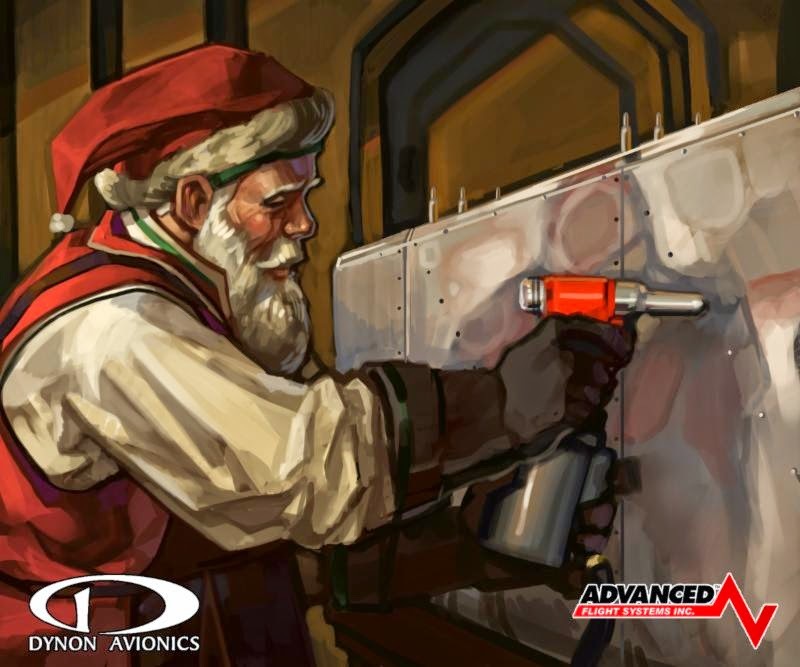 Controlling trim in your aircraft is serious, and we take safety here to the next level. The trim controller works even if SkyView is offline, with redundant power inputs. Trim is protected from running away due to stuck buttons. 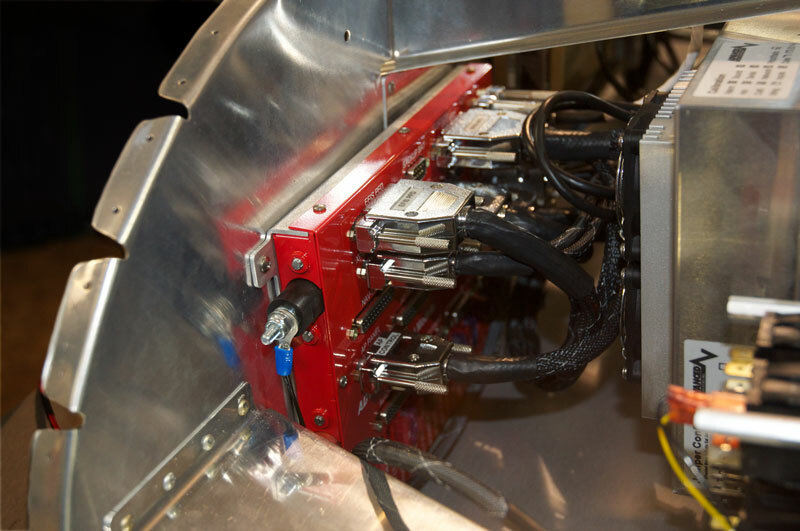 The outputs are protected from shorts, and the pilot has priority over co-pilot inputs. Use of the trim controller is optional. Available in Horizontal and Vertical versions beginning April 2014 for $550. Dynon has been hard at work adding customer-requested features to SkyView, and this release has huge updates to the already full-featured SkyView set. As usual, software updates are completely free. SkyView 10 software is expected to be available for download late March 2014. Last year Dynon partnered with Seattle Avionics to provide geo-referenced Airport Diagrams and approach charts at the industry-busting price of $99 per year. SkyView 10 adds the ability to display geo-referenced sectionals and IFR HI and LO charts as an alternate display on the map. Even better, this data is included in the $99 subscription you already have. Flight plans are displayed on top of the charts, as are weather, traffic, and any terrain alerts. Elements like airspaces and airports can still be selected, and with touch, you can pinch, zoom, and pan - smoothly and without stutter - to navigate your way anywhere. Been flying a Cessna 172 for the last 20 years and are more comfortable with the six-pack analog gauges than the tapes on an EFIS display? SkyView has your back. 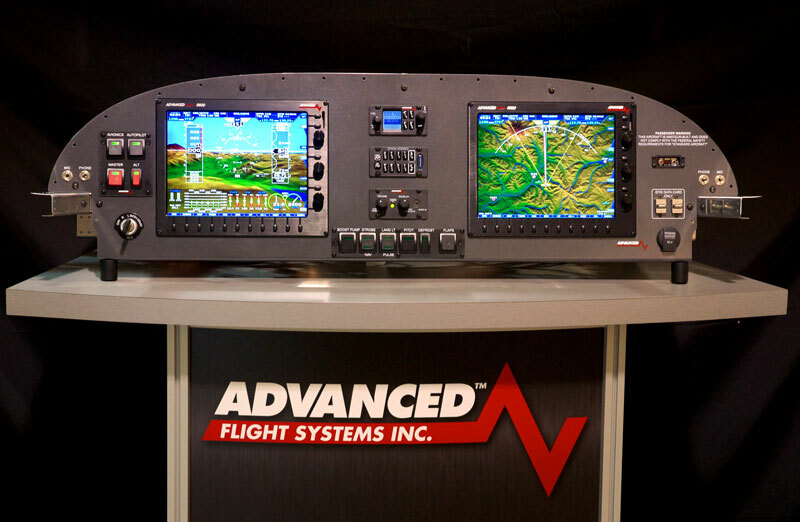 You can now choose a six-pack display on your EFIS, with or without Synthetic Vision in the background. Digital numbers in each gauge give you precision when you need it. The six-pack can be displayed next to the MAP and/or EMS at the same time. Do you have an IFR certified GPS in your airplane but hate the small screen? SkyView can now display the whole flight plan from an IFR GPS right on the SkyView map, including arcs, holds, entries, and more. The text flight plan is also displayed on SkyView in the flight planning page. SkyView will now also follow the CDI button on your navigator, switching between VLOC and GPS modes. If your navigator sequences automatically, SkyView will follow. No more pressing HSI SRC on the approach as you intercept the ILS or go missed! Sometimes called the green banana (personally, we like the periwinkle plantain), this shows you where over the earth you will be when you arrive at your target altitude. It's great for planning arrivals at the end of your flight plan, or for making sure you will be above the airspace by the time you get to it. It's even better when paired with the Dynon autopilot, which can hold a vertical speed for you. Want to know when you should start that descent from cruise altitude? SkyView can now tell you how many feet per minute you would need to descend at to end up at pattern altitude a mile away from the airport. Choose your descent rate, wait for VSR to show that number, and start down. The speed required even shows up on the vertical speed tape to make it easy to hit. Did your project end up a bit out of hand and now you have two engines on your plane? Do you have to turn your engine over a few times slowly before you start it to prevent the lower cylinders from flying off? SkyView is here to help. SkyView 10 supports dual SV-EMS-220 or SV-EMS-221 modules. You can use these modules to support aircraft with twin engines, or you can use them to increase the number of thermocouples supported in the system up to 28, for total monitoring of EGT and CHT on 8 cylinder and larger engines. From the "things requested on our user forum" file comes a simple line on the map that shows distance or estimated time. This is user programmable for how many miles out you want to see, how many minutes, or you can show both at once. It even moves over to the side when you are direct on course so it doesn't hide the course line! SkyView will now display the tail numbers for traffic targets below the target on the map. It's a fun way to keep an eye on your buddies, or to just making sure that you have the right plane on a traffic call-out. Tail number display requires a Dynon ADS-B receiver, and the target aircraft must be equipped with ADS-B out. Since the GA fleet hasn't really started equipping yet, you're going to see mostly other SkyView-equipped airplanes and airliners for now! The Nearest list now has two new features. First, you can display the whole airport name as part of the list, instead of just the airport ID. Second, you can filter the nearest list by runway type, length, and if whether it's a public airport. This way, you can see just airports you care about and shorten the list. In an emergency, just deselect the "FILTER" button and the list goes back to all airports. You can now choose a variety of colors for your EMS ranges. No longer are you limited to just white, black, green, yellow, and red. The blue is particularly useful for low temperature ranges, or for indicating the state of water landing gear on amphibs. Add some color to your flying! With a SkyView ADS-B receiver SkyView 10 can now display the nearest winds aloft. These are displayed on the weather tab for each airport and have the nearest wind report displayed. Great for choosing the optimal cruising altitude at your current location! We live in Seattle. People at Dynon own at least 3 floatplanes. We don't want to see you end up on your back. To combat this, SkyView can now call out "GEAR IS UP FOR WATER LANDING" or "GEAR IS DOWN FOR RUNWAY LANDING" as you approach your landing, just as a friendly reminder to check that gear state. For those of you speed demons out there with retracts, we can remind you if your gear is up with a "CHECK GEAR" warning, and we also support warning for gear overspeed as well. We've spent thousands of hours crafting what we know you'll find is the best release of SkyView ever - We're excited to get it in your hands shortly. Visit us at Sun n' Fun, booths A-034, A-035, A-036! Learn more at www.TheNewSkyView.com.